What is $5 Meal Plan? from $5 Meal Plan on Vimeo. Y’all…I wanted to give you a heads up that change is a-comin’ again. The site continues to evolve and change as we see and hear your needs. One of the ways that we will continue to make improvements is in our meal planning. 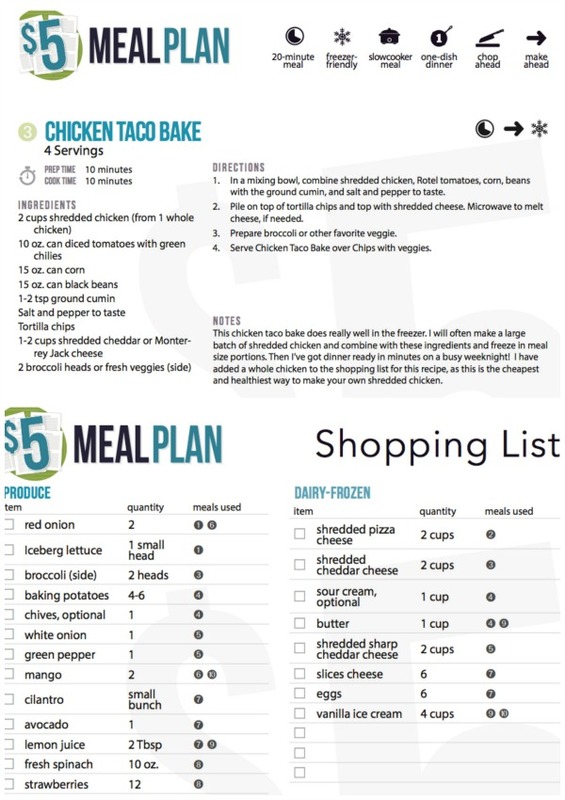 For years, I’ve offered this weekly meal plan for free…but it costs me a great deal of time and money to prepare each week. 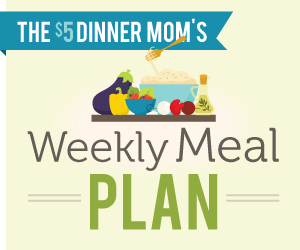 Soon, I will transition this weekly meal plan to our new paid meal planning subscription service. You can find out more information at 5dollarmealplan.com. We are currently in a closed private beta and are learning a great deal from our beta users’ feedback. I look forward to bringing this new, improved and more comprehensive plan to you each week! Also, I had several funny (and frustrating!) moments while shooting videos for the new $5 Meal Plan…check out these bloopers! $5 Meal Plan – Bloopers Reel from $5 Meal Plan on Vimeo. Side dish suggestions: rice or bread; fruit or veggies. 2 teaspoons favorite vinaigrette salad dressing, tangy or sweet will work! Love to know how to get meals do you have a booklet or cookbooks meal plans. Would love that information thank you. I love clicking through your recipes. Any chance you can add Weight Watchers points and/or nutritional information? Sorry if I missed it. Is it possible to get the meal plans sent out earlier then Sunday evenings?? I do all my grocery shopping on the weekends way before sunday evenings. Friday wouldbe so my more helpful, I may be alone in my thoughts 🙂 Or I guess I can just be a week behind in my meal planning. Thank you for this great service!